The M-Bus Central Unit scans the data from up to 250 meters in selectable intervals. All meters with M-Bus protocol according to EN1434-3 are automatically detected and read. This means that the user is saved the laborious task of configuring the measuring points in the software. 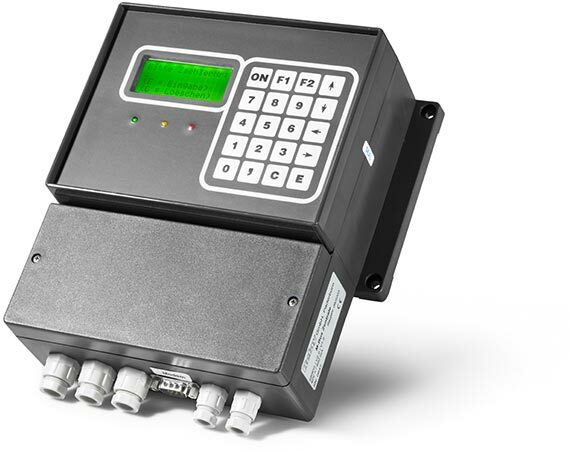 It is possible to operate the M-Bus Central Unit on-site by the keypad and the LCD, without any auxiliary devices. A PC can be used to read the stored meter data on-site or by a modem connection ( for example with a standard terminal software). The operating system is available in different languages and can easily be updated by software.